here have been a slew of interactive adventure titles of late. With Wales Interactive seemingly leading the charge publishing many of the more prevalent products over the past few years. 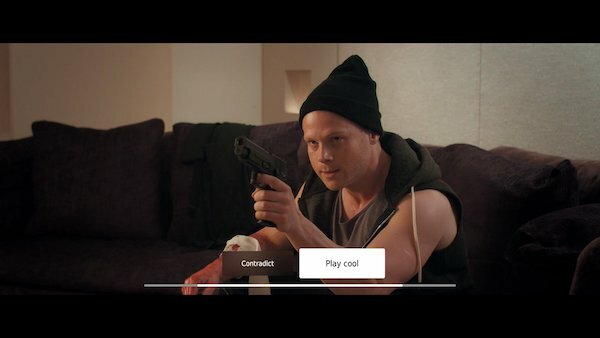 With Late Shift, the PC/Mobile/Console title comes to the Switch offering an interactive crime story with may a twist and turn along the way – but has this genre of interactive entertainment moved on from the overlays and simple buttons prompts of the medium that was so well trodden in the 90’s? Everything in Late Shift centres around choice. 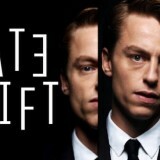 Developer CtrlMovie have laid out an interesting crime thriller here for you to experience and react to as you see fit. Your choices will impact, sometimes in not so obvious ways, the outcome and path of your story. You take on the decision making via main character Matt, played by Joe Sowerbutts. A student using his low effort job as a parking attendant in a private building to pay his way. The night gets interesting when Matt becomes embroiled in a daring heist of a small antique bowl and ends up on the run from the Chinese Triads. Decisions come often and a response is expected within a very tight time frame. Presented as an overlay to the main action on screen at times this feels very much like an interactive DVD title with little in the way of presentation and a functional, but clumsy, user experience. Once your decision has been made the relevant scene is played out for you on screen. With a total of seven possible endings and a total play time of around 90’ish minutes it’s not hard to see that Late Shift was designed for more than on play through. 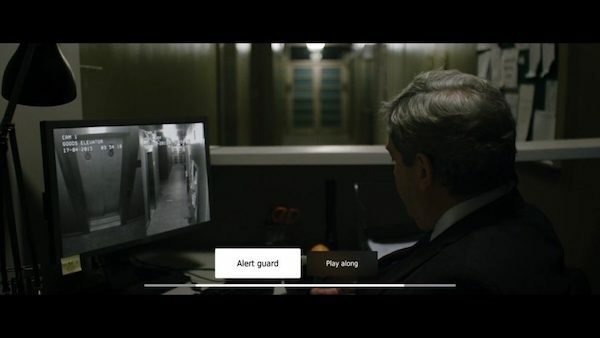 The main issues with the experience (eagle eyed readers will notice I have avoided ‘game’ as a term here) is that it lives and dies on it’s story and interactions and these are areas where Late Shift is the weakest. The story, though compelling enough to engage the viewer, lacks punch and is littered with plot holes and often requires a suspension of disbelief that can be hard to swallow. You’ll likely not pick up these on the first play as you’ll be invested in the plot, but a second, and subsequent plays, will soon bring them in to focus – how did X know about Y, why didn’t Z just call the police etc…. It’s likely born of having to incorporate the branching stories and offer the different endings but it needs simplification and a continuity pass or two. The interactive part is, at best, minimal. As mentioned the overlays are little more than boxed outlines and almost system font writing on the screen. The impact of your choices is not always clear or in keeping with the action on screen. At no point does this realistically feel like you’re ‘playing’ anything. More just nudging a storybook page by page until the conclusion – a modern video-based choose-your-own adventure book. So, taken as a cinematic experience Late Shift does a very good job of capturing it’s look and feel. Camera angles, lighting and direction are all on point for a low-budget indie look. Acting is, for the most part, solid with the limited number of characters giving a solid, if a little derivative at times, performance throughout. Video playback on the Switch is smooth regardless of handheld or docked mode. The film does have a juddery and suffers from compression which is very evident when being played on a full sized TV (more so on my 4K OLED) but still looks good throughout. 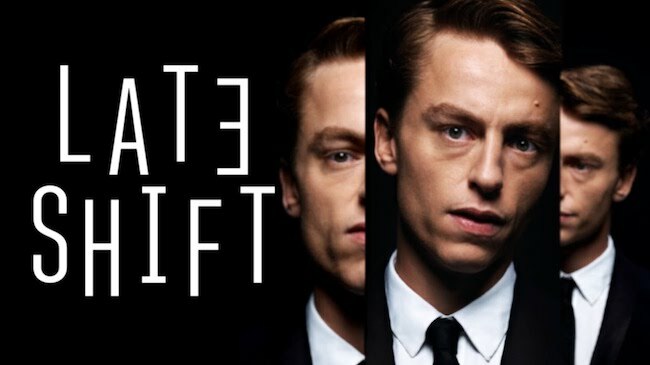 Late Shift was a step forward in terms of production values and cinematic ambition when it was released back in 2016. Here in 2018 the cinematic aspects are still standing strong but the sparse interface and lack of real interaction take their toll. Well acted, well shot and with an interesting story to tell it’s easy enough to overlook some of the short falls of Late Shift (as many are due to the medium itself) and immerse yourself in the story it is trying to tell. If you pick away at either side then the movie doesn’t stand up to scrutiny plot wise and the game aspect doesn’t stand up to any real analysis as a traditional game.